Invest Rs 5,000 in a Month Challenge. Hi. This is the 1st day of August 2018. And today, I have decided to challenge all the beginners who are yet to start their journey in the Indian stock market. I challenge you to invest Rs 5,000 in a month. I know, this might sound a little difficult. But in actual, it is not so. One month is a long time. And this time is enough for you to get started in the exciting world of stock market. Further, do not worry. I’ll provide you a specific guide on how to invest your first Rs 5,000 in a month in this post. First of all, I would like to mention that the goal of this challenge is not to make you rich quickly or a stock market expert in a month. It takes years to reach that level. The goal of this challenge is to get you started. Remember, the journey of a thousand miles starts with the first step. No child starts directly running within days after they are born. First, they crawl, then comes baby steps, then imperfect walks and finally they are able to run. You have to also follow the same procedure. However, in order to do that, first, you need to get started. You can only make good returns from your investments at some time in the future, if you start today. No stupid investing in Penny stocks!! Yes, I know! Penny stocks are the darlings of the newbie investors. The idea of investing in stocks worth less than Rs 10 in the stock market sounds appealing. You can buy as much as 500 quantities by investing Rs 5,000 if the share price of a company is Rs 10. However, these stocks are very risky and a majority of the population loses money while investing in these stocks. Therefore, investing in penny stocks is not a good idea for the beginners. The basic rule for this challenge is to totally avoid investing in penny stocks. 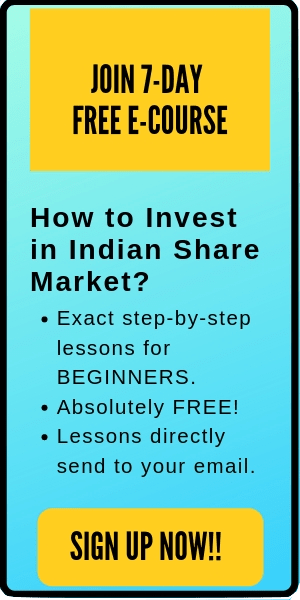 Only join if you’re serious to invest Rs 5,000 in the stock market this month!! If you have any other commitments- let’s say you are giving some important exam, traveling the world or participating in the marriage of a close relative- then please do not join this challenge. No one likes FAILING. Moreover, failing because you didn’t try enough is not worth it. 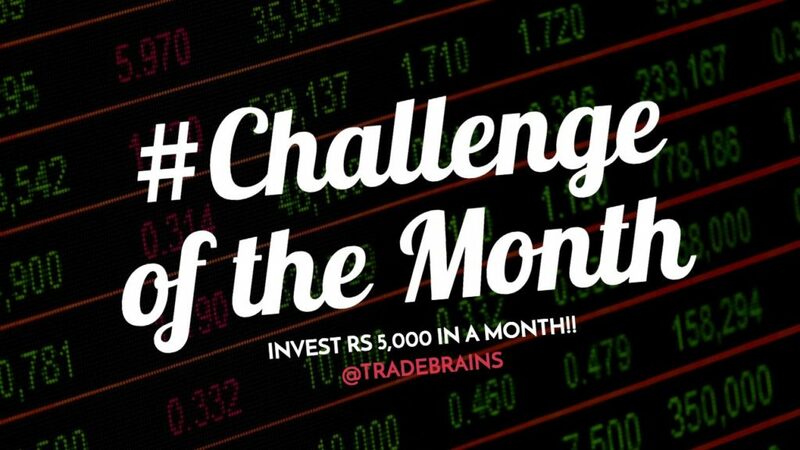 Only participate in this challenge if you are wholeheartedly ready to invest Rs 5,000 in the stock market in a month. Quick note: If you are a student and want to get started in the stock market, you can start with an amount of Rs 2,000. However, if you don’t even have this amount, then please do not start. In such case, first, you need to learn how to save!! I hope you already have opened your demat and trading account by now. If not, don’t worry. In the internet era, you can set up your brokerage account within hours. If you are a beginner, I’ll recommend starting with discount brokers. These brokers will save you a lot of money as they charge minimal brokerage cost. You can always switch to another broker or open multiple demat accounts in future as there are no restrictions. 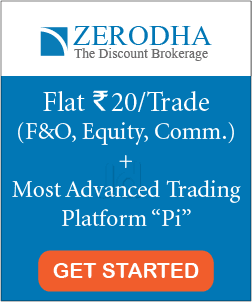 However, for the beginners, I will recommend opening a brokerage account with discount brokers like Zerodha or 5Paisa. If you need any help in getting started with the brokerage account, feel free to check out this site: Nifty brokers. One hour per day- not a big deal, right? Keep this time for study and research. You can set aside this time either in the morning or after work- whichever suits you. Quick note: If you are able to steal some extra hours during your lunch break or office time, then it will be considered as bonus time. Those time should not affect your regular research time. Stay disciplined to the time that you set aside for study/research. Don’t expect to get fully prepared. Perfection is the enemy of progress. Find me an investor who knew everything before he made his first investment. I bet, you can’t. Investment is a lifelong learning and there will be always more to learn. You are not supposed to learn everything before buying your first investment. You will never be fully prepared. Just get started and keep improving on the journey. Again, the motive of this challenge is not to make you rich quick. Do not try to cross a 500-meter wide river in a month when you are just starting to learn how to swim. With time and experience, you will get good returns on your investment. However, when you are just starting out, try to learn the fundamentals first. By now, you have would have a good idea of this challenge and its rules. However, what to do next? How to get started. Don’t worry. I’ve planned out everything for you. Here’s are the exact steps to invest Rs 5,000 in a month. There may be hundreds of companies which you love -whose products and services you most frequently use. Investing in the stock market is not like investing in Bitcoin, Ripple, Litecoin or any other cryptocurrency. Here, you already know the major companies as you have seen them since childhood. You have grown up with the names of these companies. Why not study them and invest? 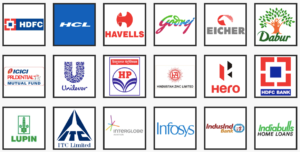 Make a list of at least 30 companies which are your favorite. Do not ask for recommendations from your friends or advisors. Research yourself. Maybe, you can have a casual talk regarding your favorite companies with your friends- if you know that they have a good knowledge of investing. But, do not get influenced. This is your decision. No one cares more about your money and investments than you do. If you can’t make a decision to invest Rs 5,000 in a month today, how will you make decisions to invest lakhs in upcoming years? This challenge aims to make you accountable for your actions. #3. Research. Research. And Research. You do not need to be an expert to research the companies. Just visit the website of any company and you’ll find tons of information there. All the products, services, vision, mission, team, management, future goals, latest announcements, financial reports, current happenings… everything is present on the website of the company. This is the best place to start your research. For example, if you’re researching Hindustan Unilever (HUL)- go to their website and read everything that you can find about that company. Maybe you won’t understand many things. But do not let it stop you. One month is a long time to research and learn new things. Further, google search your favorite companies. Use keywords like “Company name +..” founding year, founders, CEO, Board of directors, the latest news, results, competitors etc. This will help you to research the company from all the angles. Overall, research everything about the company. Stalk it for a month and I bet you will know more about the company than most of the financial experts. After the research part, you will be able to find a few good companies whom you believe are doing amazing and has a good future potential. 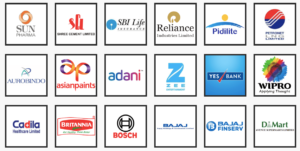 Select 2 or 3 such companies to invest. Further, do not select more than 3 companies. Rs 5,000 is not a big amount to invest. If you increase the number of companies, you’ll waste un-necessary time in researching. Keep the final list of the companies- SHORT! When you are done with your research and have made your final stock selection, make your commitment. Simply invest. Nowadays, using the online stockbrokers, you can buy stocks with a simple click. As already said, the goal of this challenge is to get you started. Do not care about the returns. Just care about your research that you haven’t missed anything. One month is a good enough time to research a company. If you will use this time efficiently, you’ll learn a lot many things that will help you to make smart decisions in the future. Further, making your first investment is very rewarding. You’ll never forget your first investment. (At least, I never did!!). Seeing all your hard work finally put to test is really an awesome feeling. In addition, even if you lose 20-30% in the market, it won’t hurt you financially. But this challenge will give you an experience of the lifetime.